Ideas for Personalized Theme Flag Labels . Serve hor d'oeuvres adorned with toothpicks or sip drinks from straws featuring one of these Personalized Theme Flag Labels. 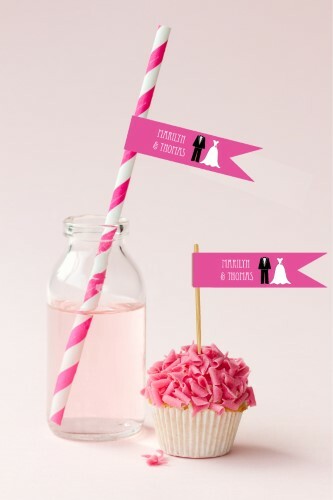 No matter what the occasion or celebration, there's a theme design to style up any event!